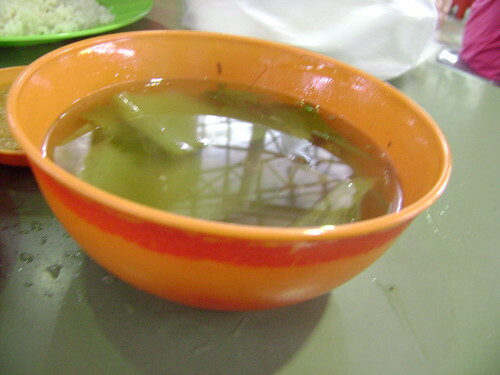 This was the stall of the chicken rice. 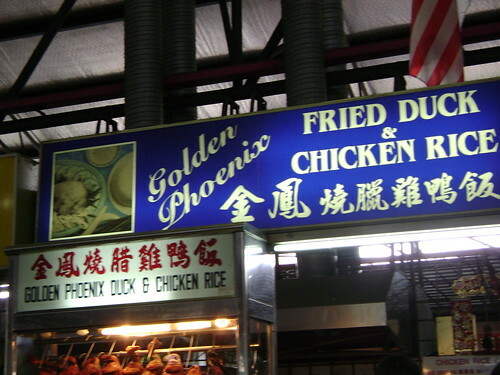 Golden Phoenix Chicken Rice stall @ Bayan Baru. This shot is quite blur, but I don't know why will like that. Maybe moved it! 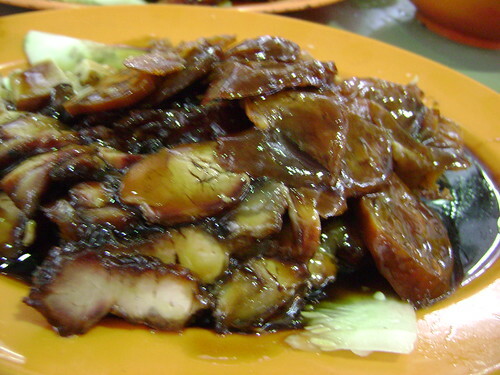 But still can see is 'char siu' mixed with 'siu bak'. It was really delicious. 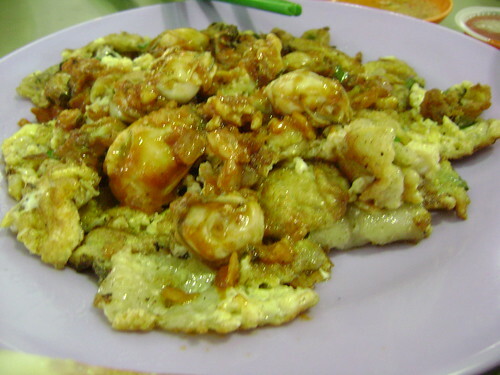 Below also the same of dish! 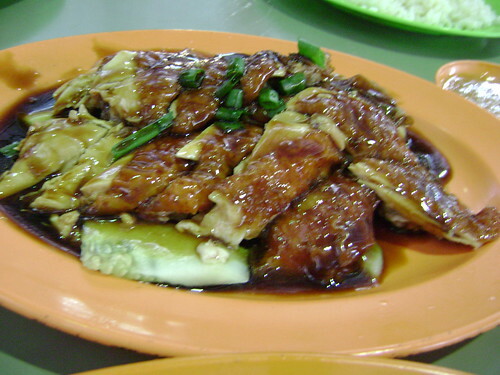 That's the chicken rice most important 'actor'. That's chicken! 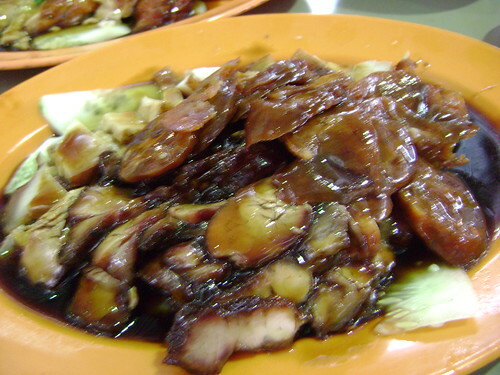 It's fried, then use the sauce and put above the meat of chicken and mixed with cucumber pieces. Let people who didn't like vegetables eat the cucumber with the chicken. This is the good idea that I think so!